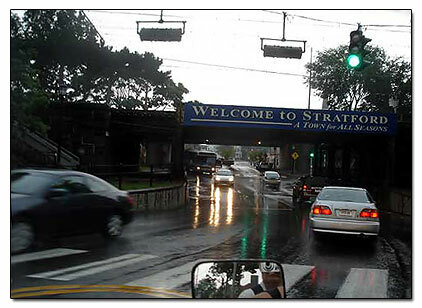 Stratford is a very historical town that grew by leaps and bounds during the 1600's. We spend a lot of time in Stratford, and we'll be adding more pages. We just got back from a very interesting experience riding the motorcyle in the rain. 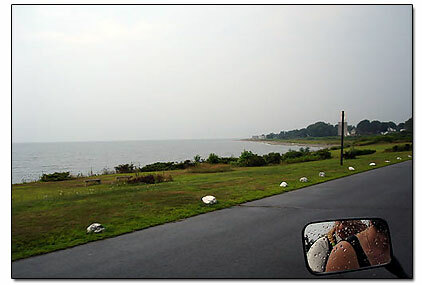 The hubby wanted to get out of the house for awhile, so we headed down River Rd to Stratford, all the way to the ocean. The first picture I took is of the former location of the beautiful Pine Rock restaurant. The next picture I got that ... ahem.... that came out clear was of an entrance by the Stratford Train Station. Actually this is not the only Stratford Train Station entrance, there is a restaurant here called the Shell Station restaurant. 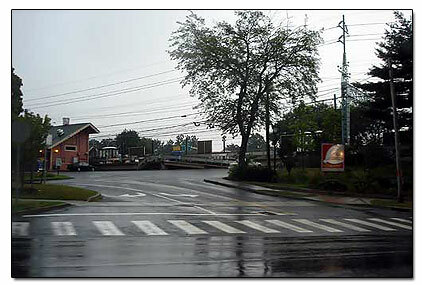 It appears the Shell Station restaurant may have been built in the old Stratford train station.. Suddenly we heard more thunder, and looked at each other and said, "Oh...oh." We thought we just better head back, before we caught in another one. At the tip of that penninsula is Marnick's Motel and Restaurant, and the popular Long Beach Skateland. To the east of this spot is the Stratford Lighthouse. 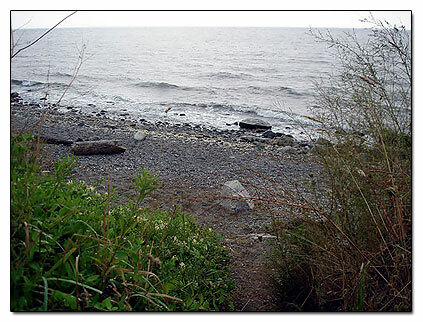 Seawall Overlook - A very scenic location located near Stratford's Long Beach. Stratford Skating Rink - Located at the Seawall Outlook, a fun place to spend during the winter season. Stratford CT Lighthouse - South of the Stratford beaches, but not a tourist location. Marnick's Motel and Restaurant - A landmark restaurant and motel located on the shoreline at the Seawall Outlook. Knapp's Landing CT - Avery popular lobster shoreline restaurant. Stratford's best kept secret. Harborside Restaurant - a very scenic and popular place to dine. 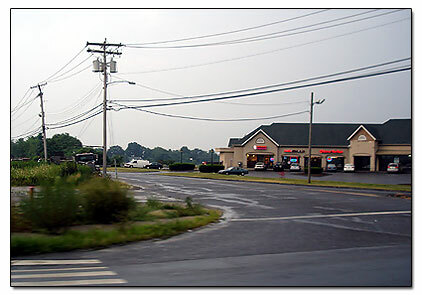 Harborside is located at the mouth of the Housatonic River. Boothe Memorial Park - Very historical with a museum, park, playground, picnic area, and rose garden.